Like many other top law school graduates, Mr. Grasso started his career at a large, prestigious law firm. Mr. Grasso quickly excelled with his personal trial practice and, in 1999, he decided to start his own firm. That year, he pulled together a group of lawyers who shared his vision of providing the best possible legal representation to the firm’s clients in a small firm setting. Mr. Grasso’s current practice includes representing a wide range of clients, including licensed professionals, governmental entities, quasi-governmental entities, individuals, partnerships, corporations, and other business entities in high-profile and complex litigation matters. 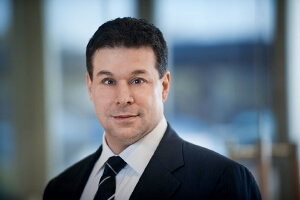 Mr. Grasso has substantial (over 25 years) jury trial experience, in both federal court and state court. Mr. Grasso has secured numerous successful verdicts in extraordinarily difficult cases with high, multi-million dollar exposure. For example, in March 2018, Mr. Grasso served as lead defense counsel in a wrongful death/road design case where the plaintiff sought $3 million against a local municipality. Days before the commencement of the jury trial, the plaintiff stipulated (agreed) to the entry of a Judgment in favor of the Firm’s client. In December 2016, Mr. Grasso served as lead defense counsel in a catastrophic injury/road design case. As a result of his accident-related injuries, the plaintiff sought almost $20 million in total damages. After a multi-week jury trial, the jury returned a defense verdict in favor of Mr. Grasso’s client (another local governmental entity). As another example, in 2015, Mr. Grasso served as lead counsel in a difficult police excessive force/wrongful death case. At trial, the plaintiffs asked the jury to award almost $4 million against a local governmental entity. The case was tried in federal court and after a jury trial, Mr. Grasso and his team secured a unanimous defense verdict. As a result of this defense verdict, Mr. Grasso was honored for securing one of the State’s top/significant defense verdicts for 2015. And this was not the first time Mr. Grasso received this very prestigious honor. In fact, in 2009, Mr. Grasso served as lead counsel in two very large and difficult jury trials with very significant exposure (one case sought $11 million and the other case sought $6.6 million). Both jury trials resulted in successful defense verdicts and, as a result, Mr. Grasso was honored for securing two of the State’s top ten Arizona defense verdicts in a single year. Mr. Grasso is also a very successful appellate lawyer. He has argued (and won) numerous cases in both state and federal court over the last twenty-plus years. Mr. Grasso’s successful appellate practice has established new and significant legal precedent in Arizona law. For example, in one recent case, the firm created new law that now limits the liability exposure for both family counselors and family counseling facilities in Arizona. Also, in another recent case, the firm created new law that limits the liability exposure for all charter schools in Arizona. Mr. Grasso is AV®-rated (the highest possible rating for legal ability and ethics) by Martindale-Hubbell, the oldest and most prestigious lawyer rating service in the United States. Additionally, Mr. Grasso has been selected to the Arizona Super Lawyers list list in 2015, 2016, 2017 and 2018. No more than five percent of the lawyers in the state are selected by Super Lawyers. Aside from his law practice, Mr. Grasso is a very accomplished martial artist. He has practiced martial arts for almost 40 years and holds a 7th Degree (Master Level) Black Belt in TaeKwonDo. For almost 30 years, Mr. Grasso trained directly under Legendary Grandmaster Sun Duk Choi, one of the world’s leading Martial Artists of all time. Mr. Grasso was the first of only a few students that Grandmaster Choi ever promoted to the rank of 7th Degree (Master Level). Mr. Grasso believes that most of his life accomplishments can be traced directly to the training he received from Grandmaster Choi. Mr. Grasso still starts and finishes every day with an intense workout – and believes that doing so allows him to stay focused and sharp in all aspects of his life, including the practice of law.